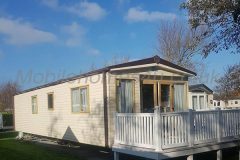 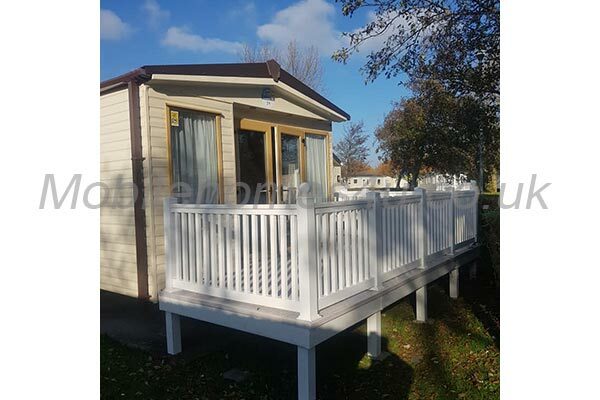 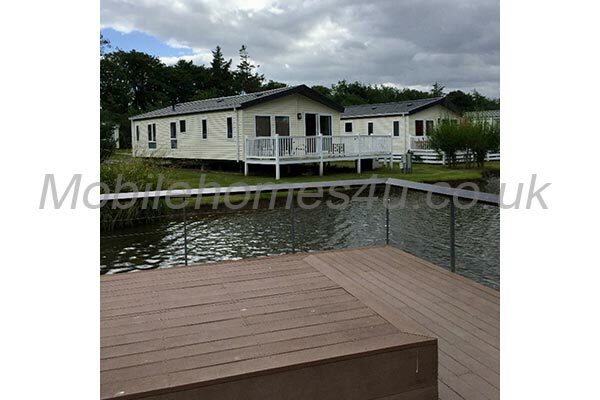 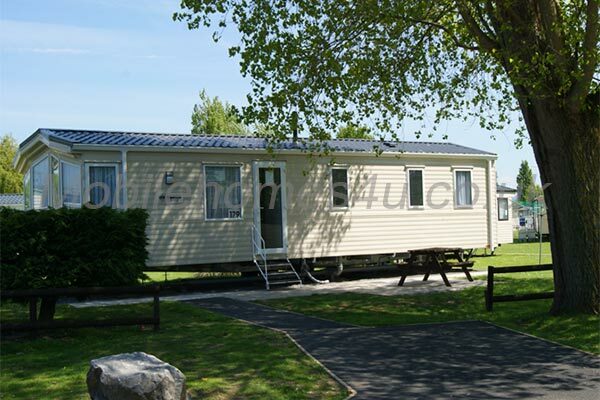 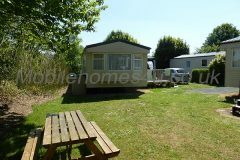 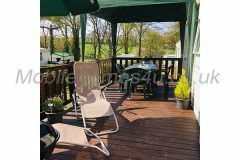 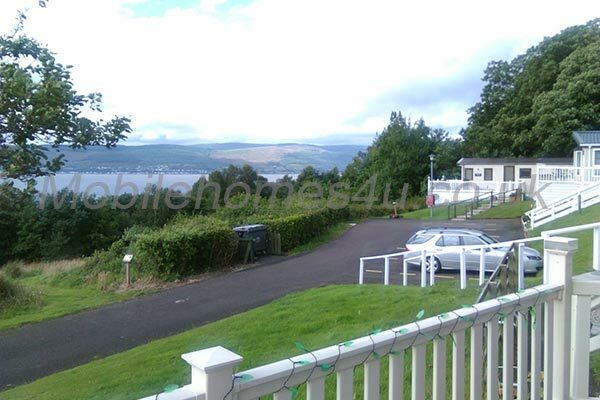 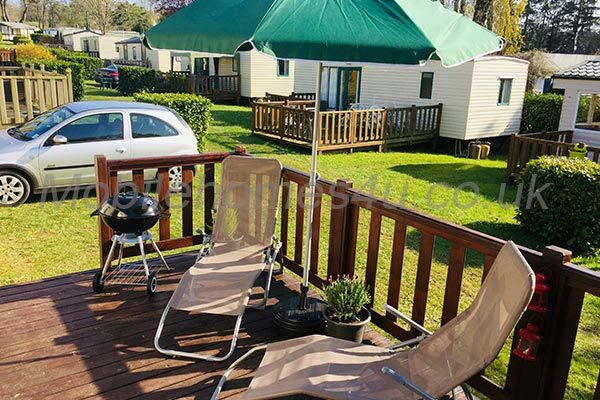 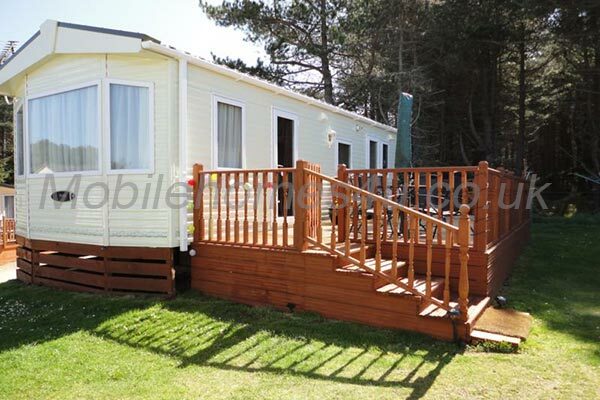 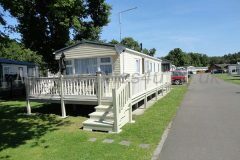 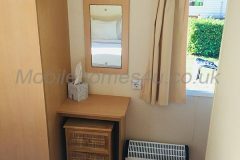 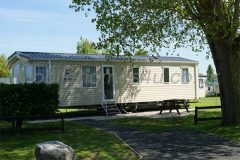 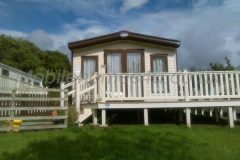 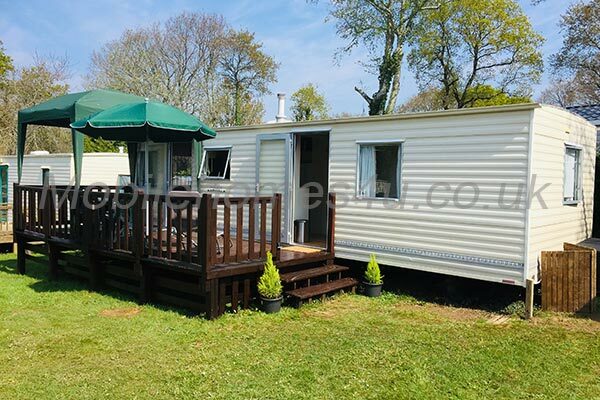 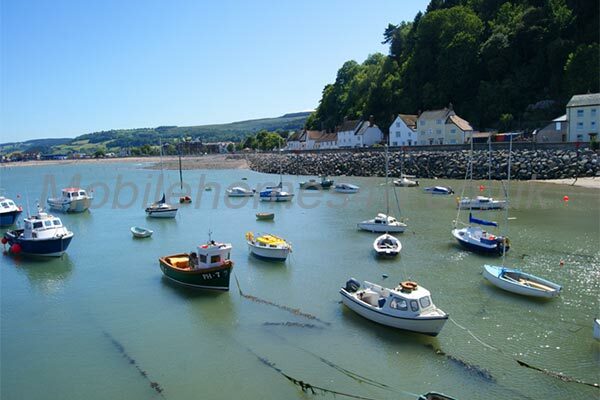 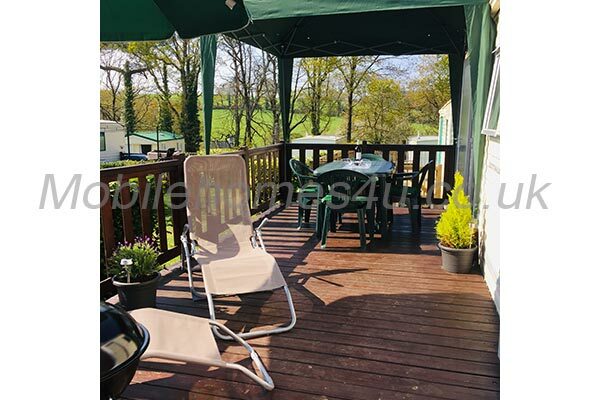 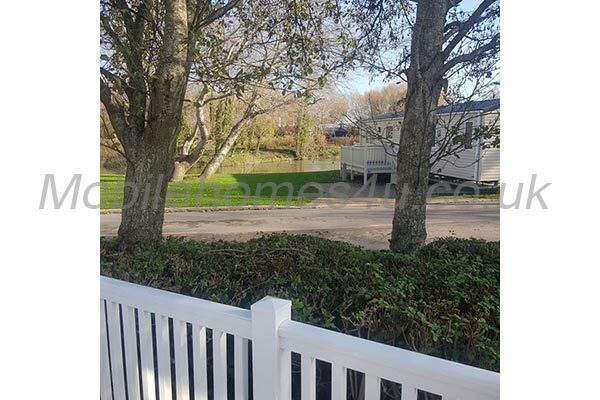 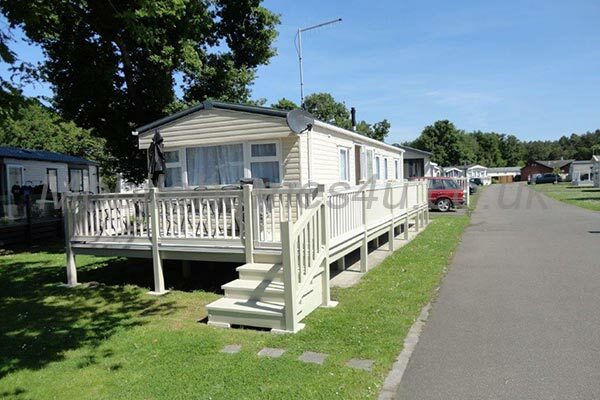 For hire on Camping du Quinquis sited on Glenan 16, a very sunny spot that gets the sun from dawn until dusk, making it ideal for lazy days sunbathing, alfresco dining & BBQs. 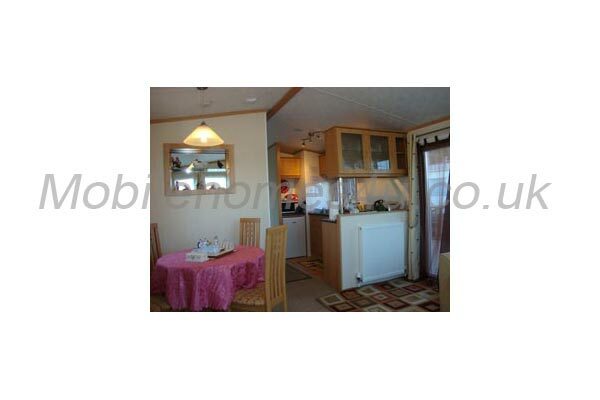 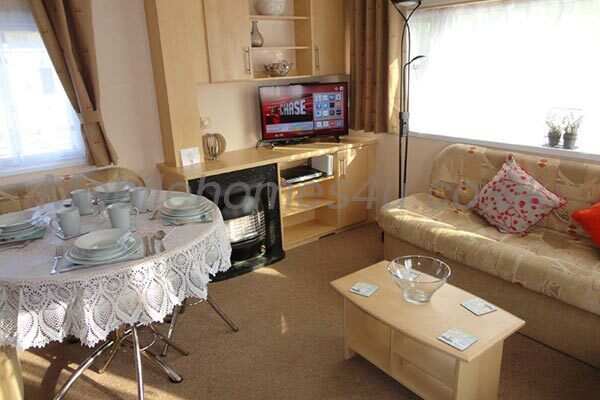 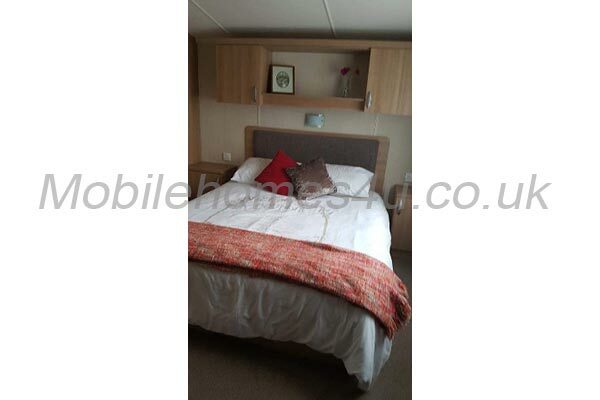 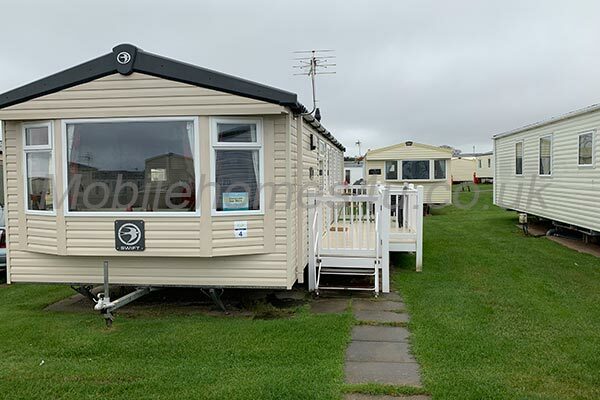 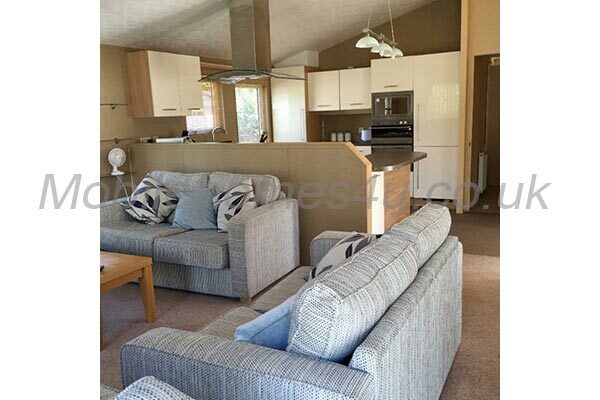 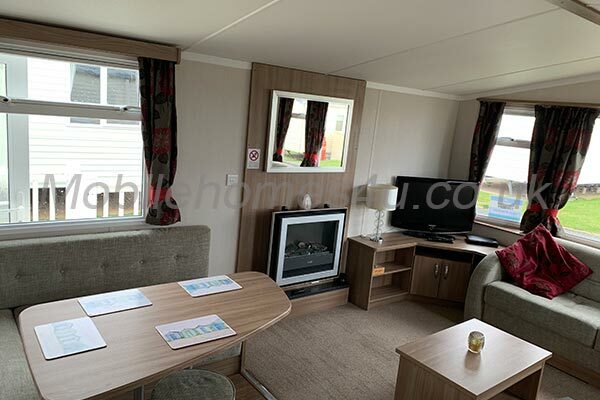 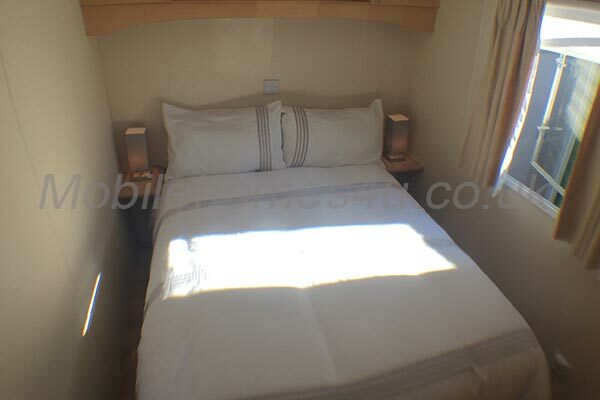 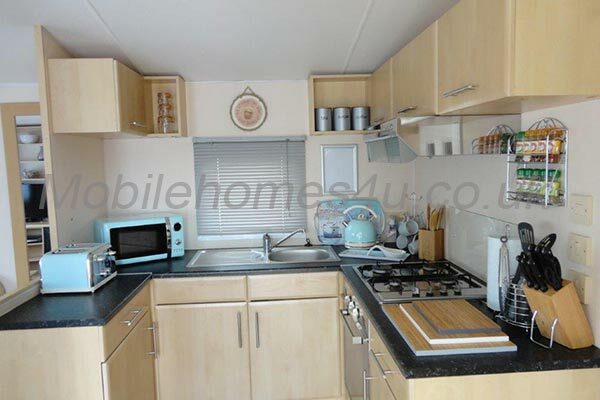 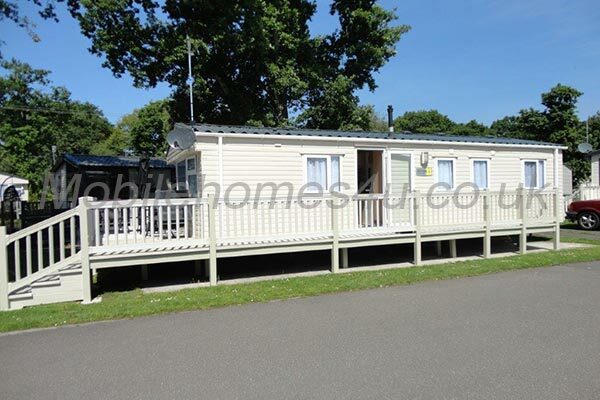 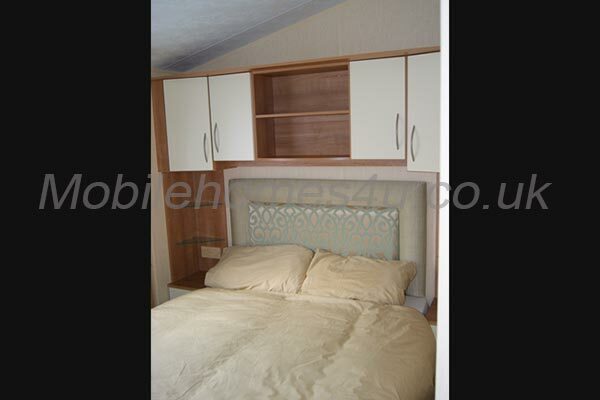 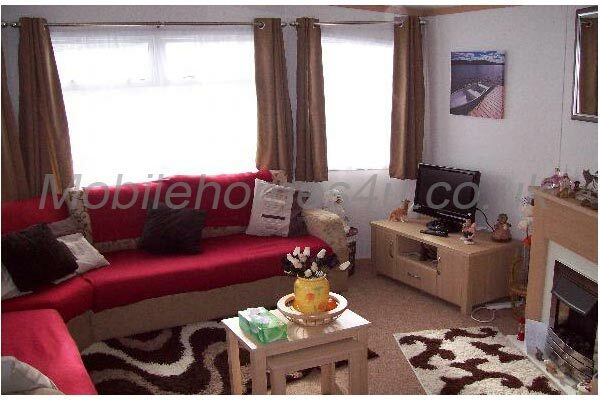 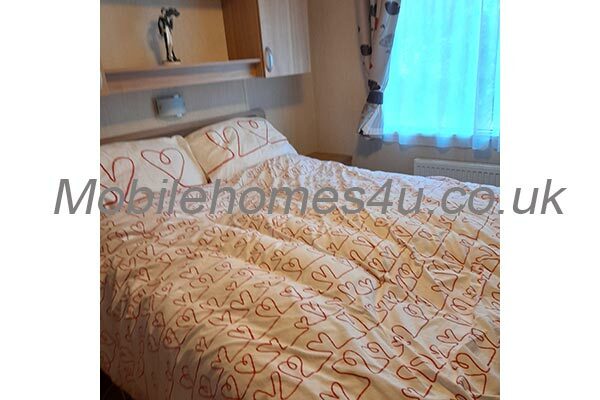 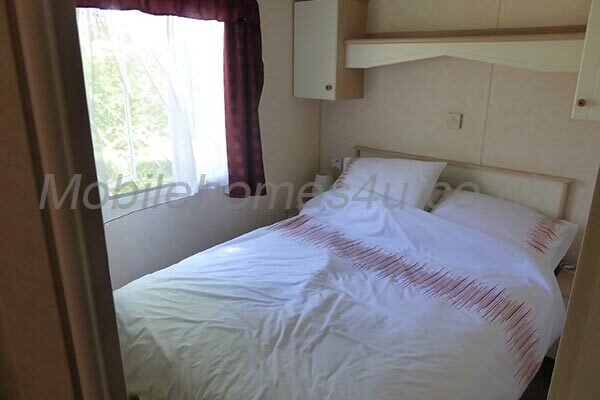 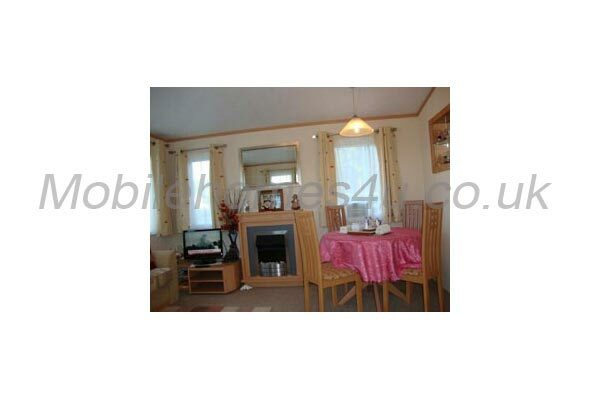 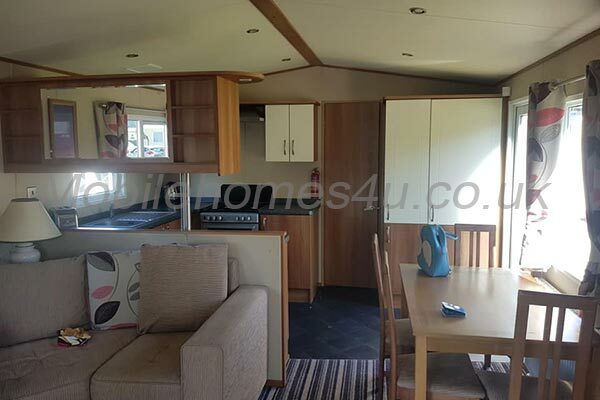 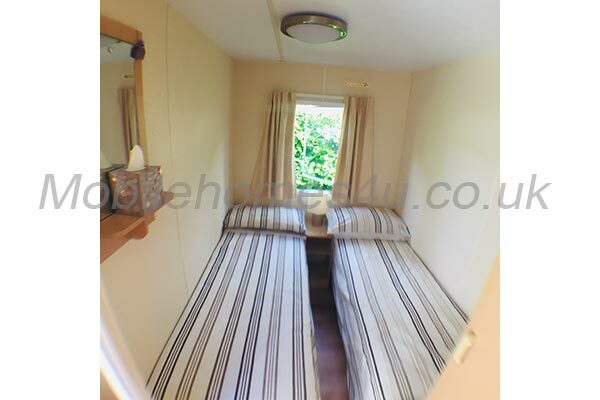 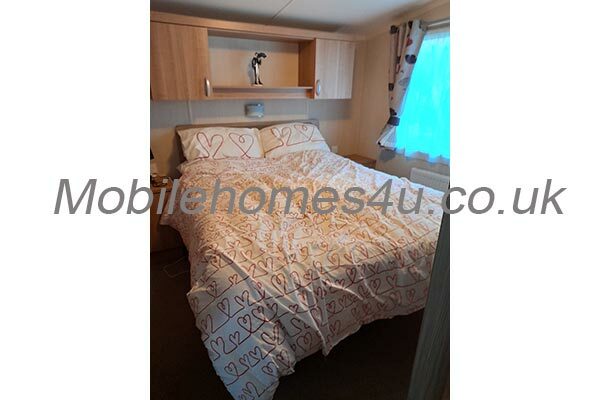 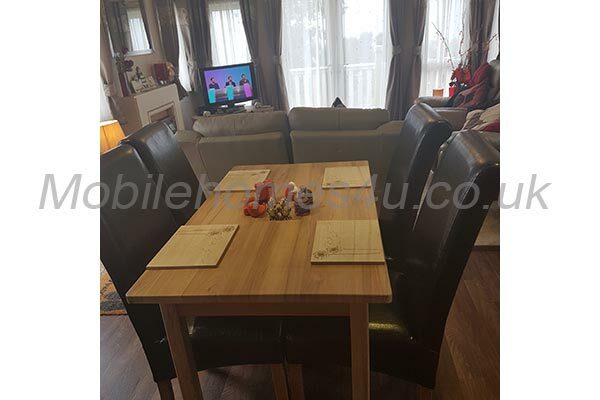 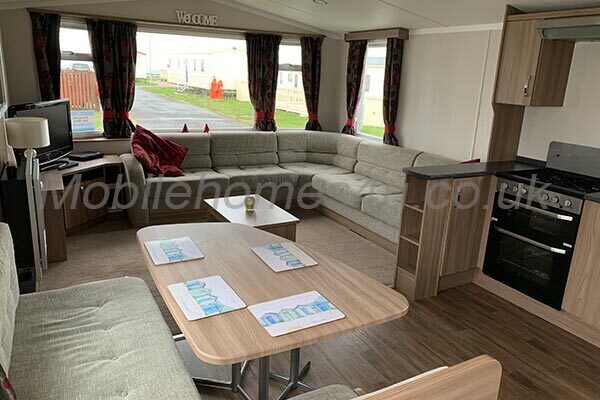 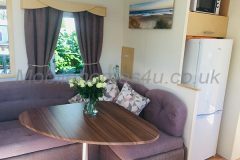 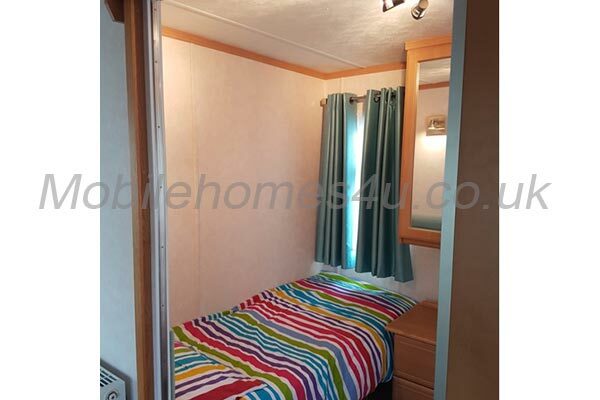 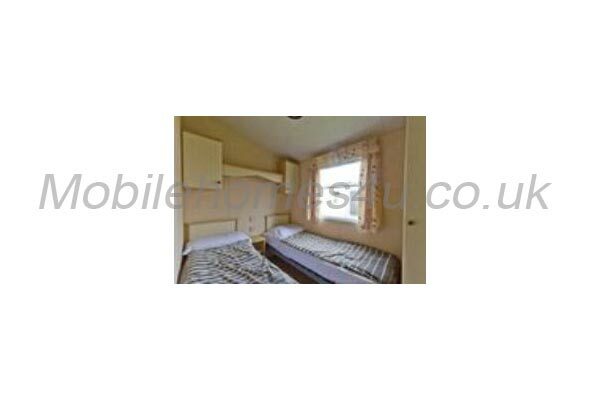 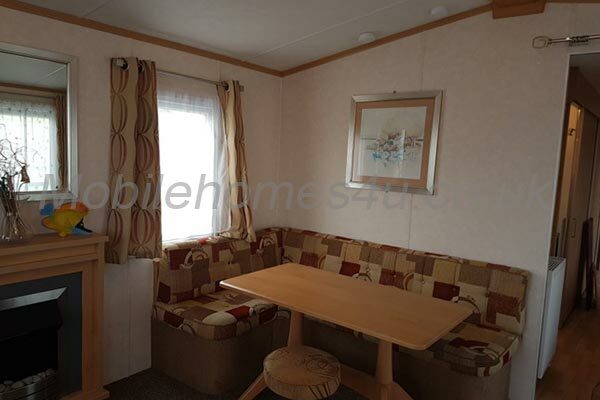 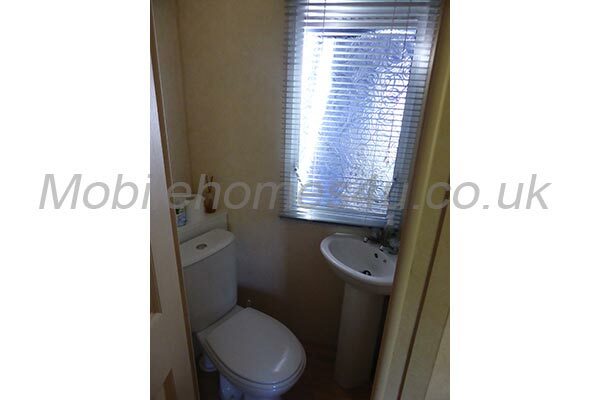 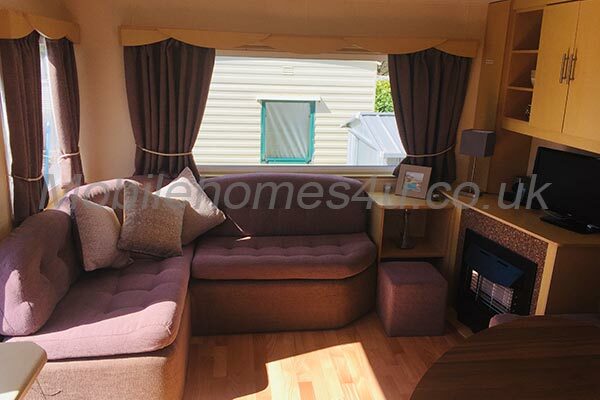 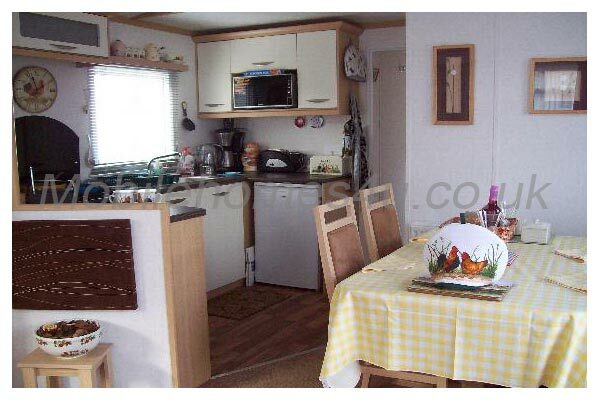 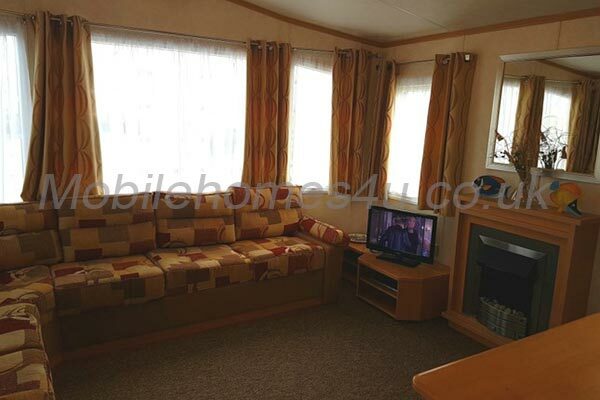 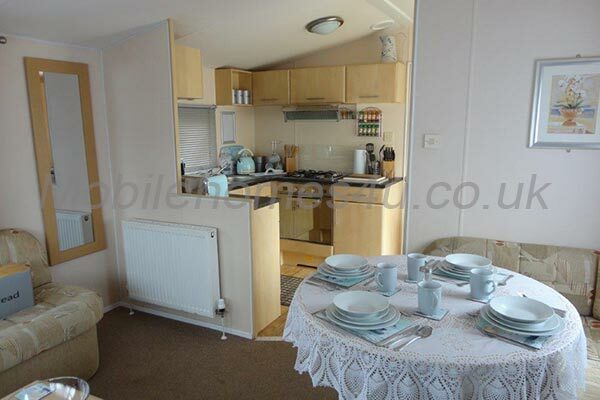 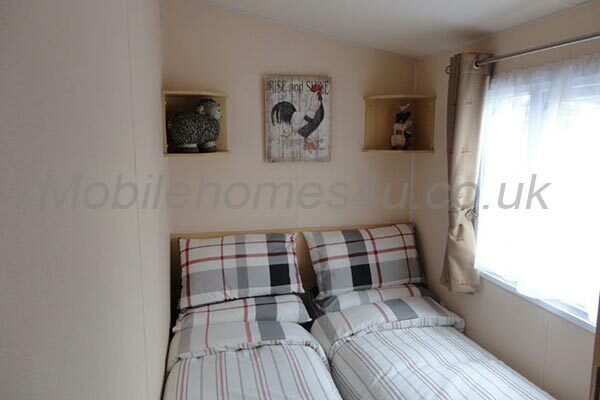 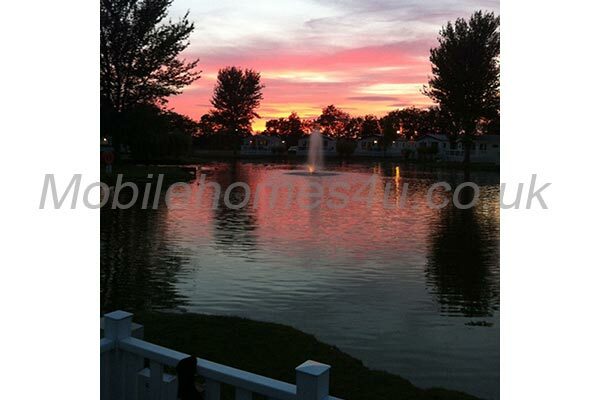 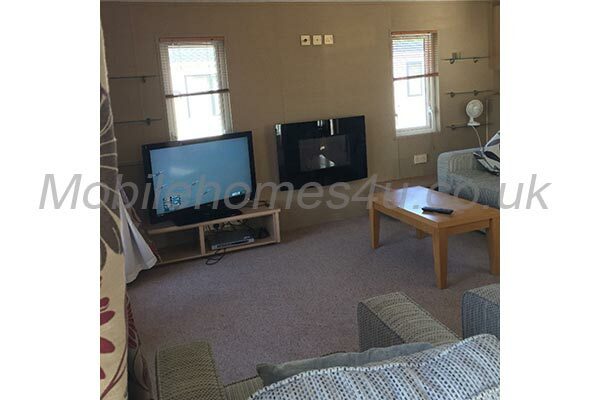 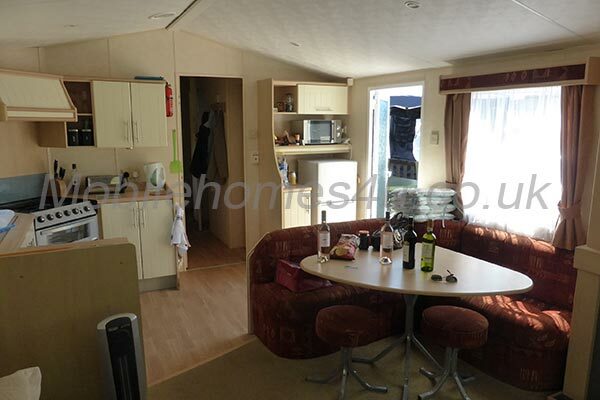 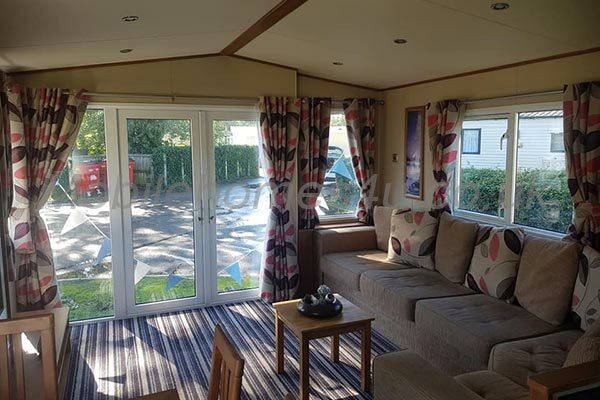 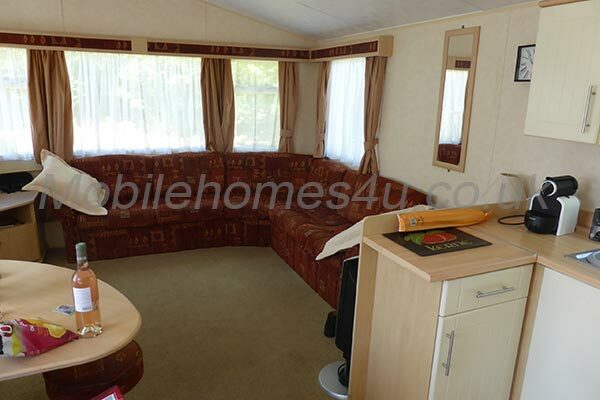 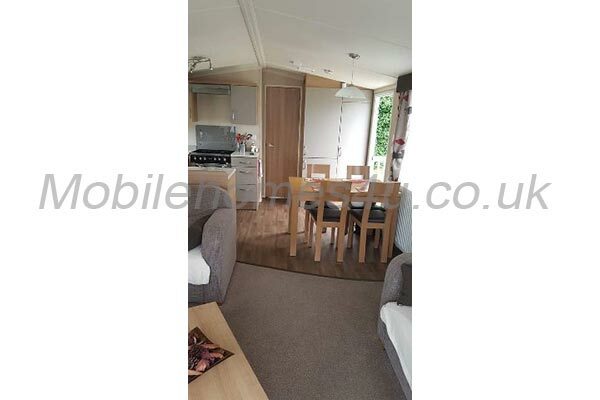 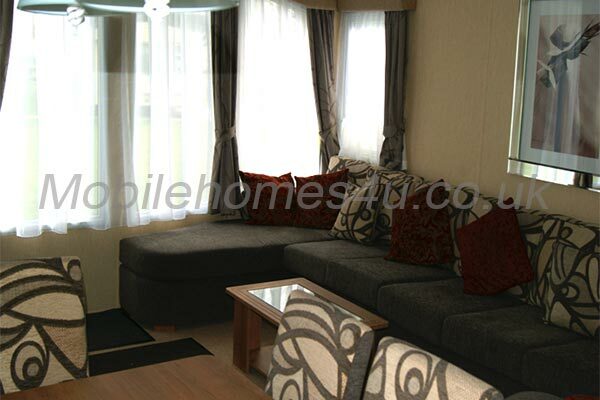 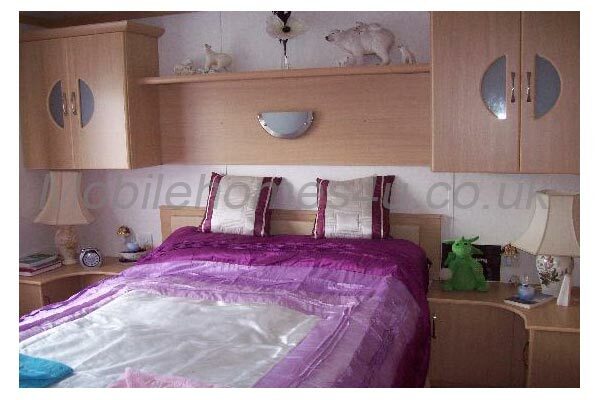 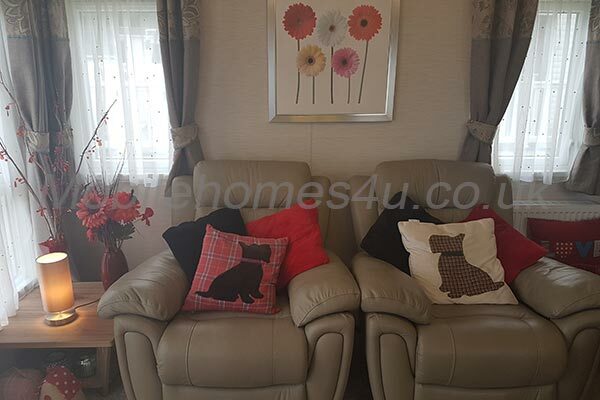 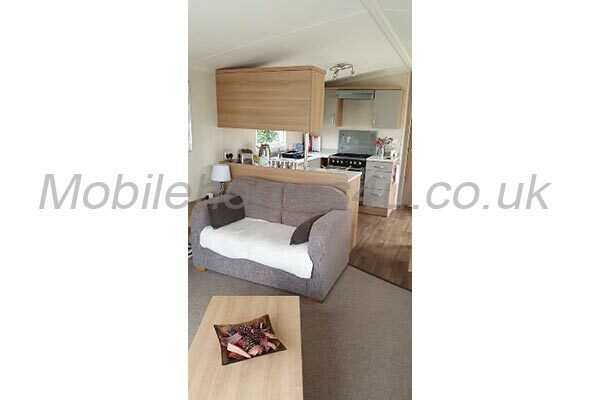 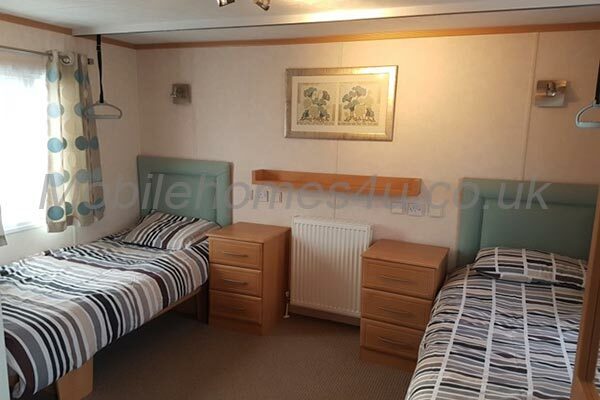 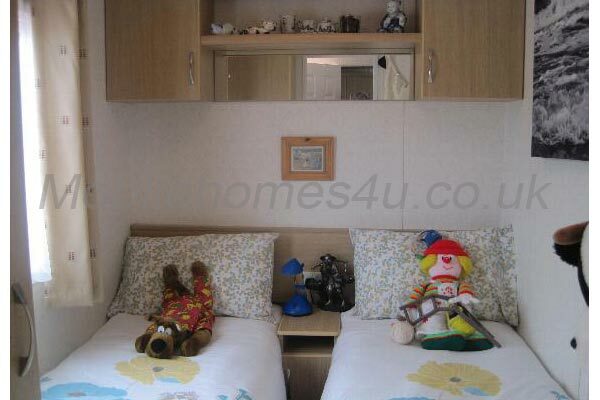 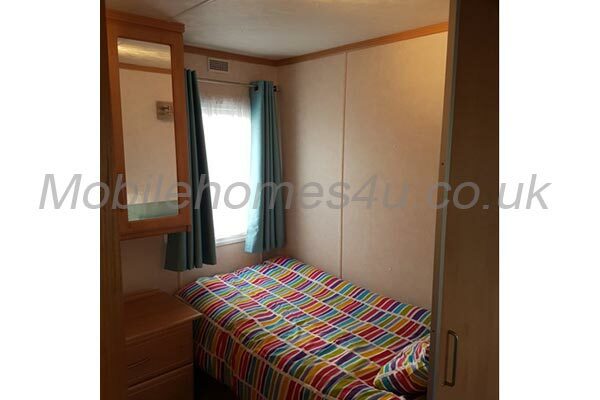 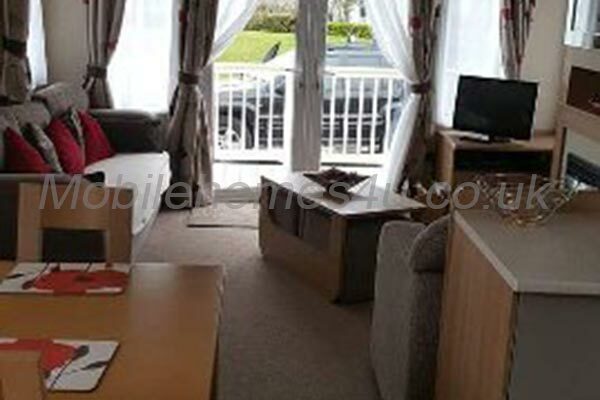 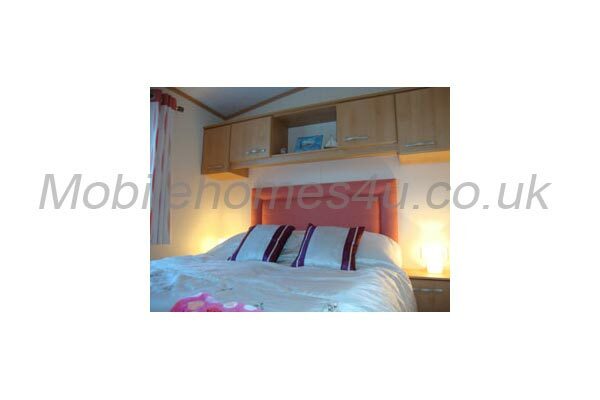 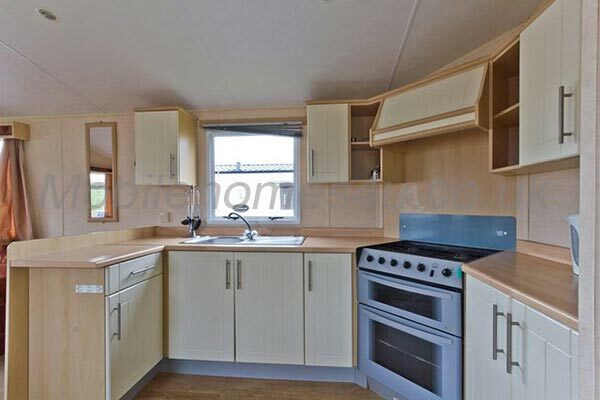 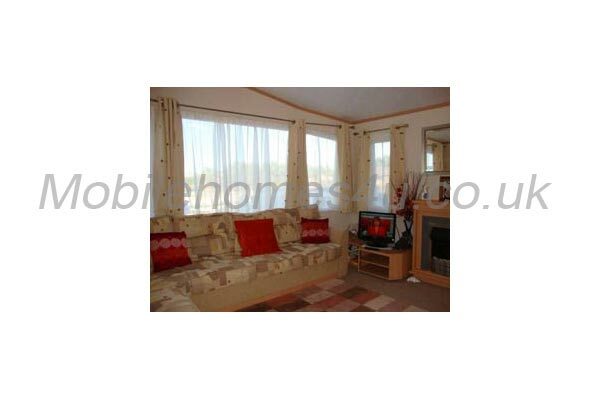 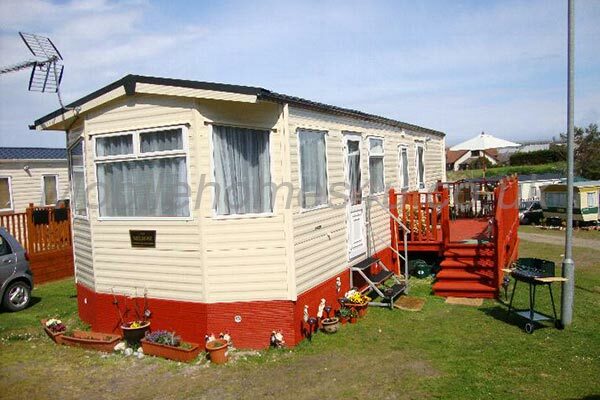 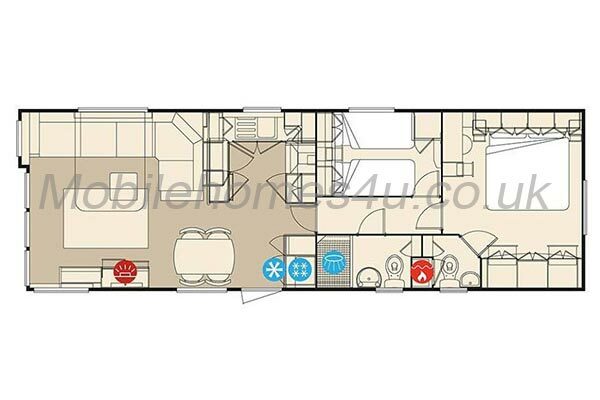 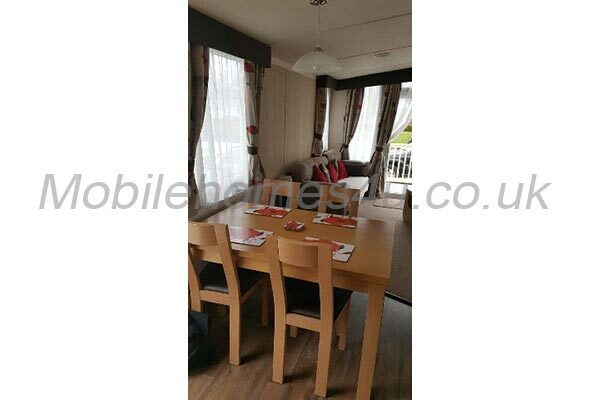 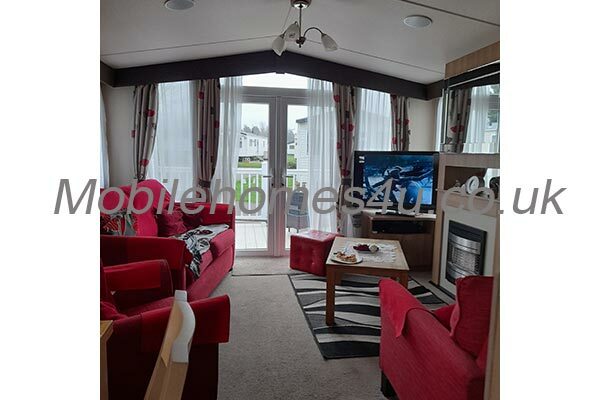 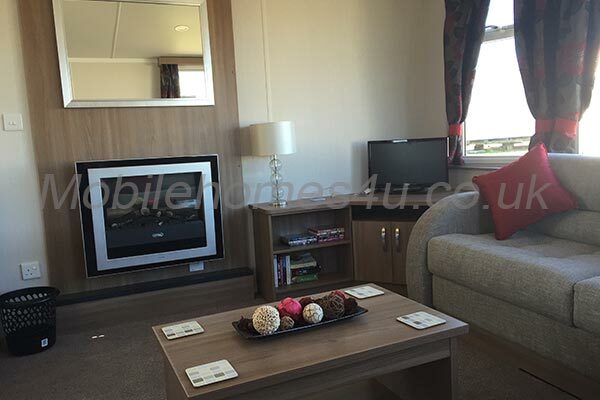 The bright spacious living area has comfortable seating, TV DVD player and gas fire. 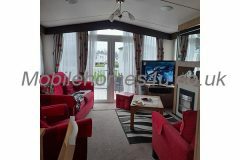 The living area is then open plan to the dining area. 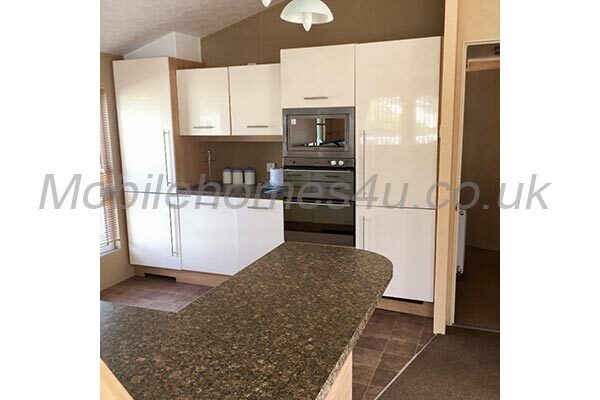 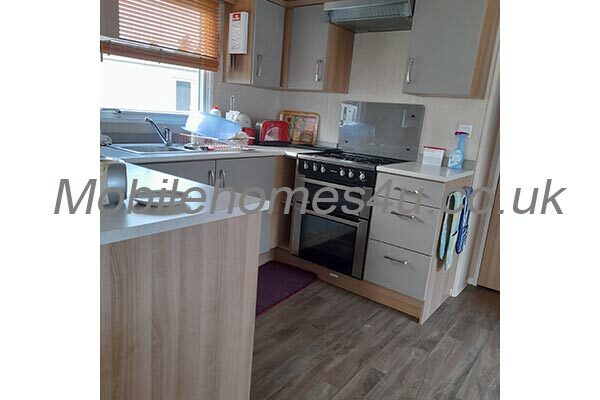 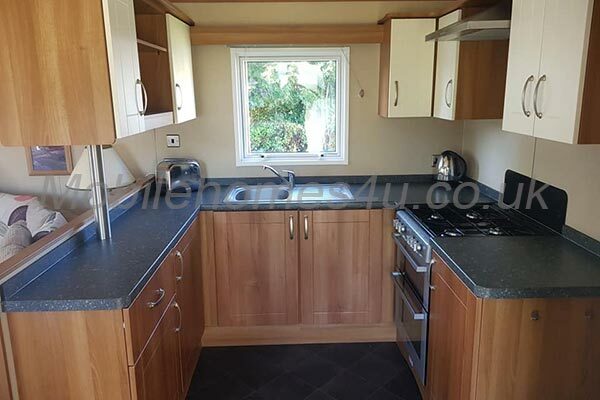 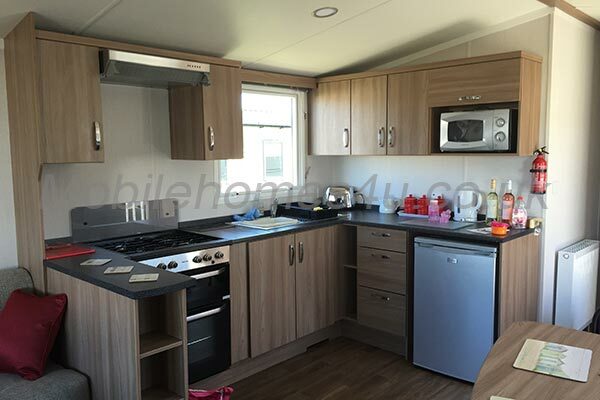 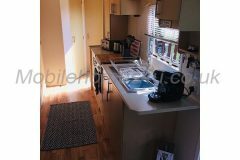 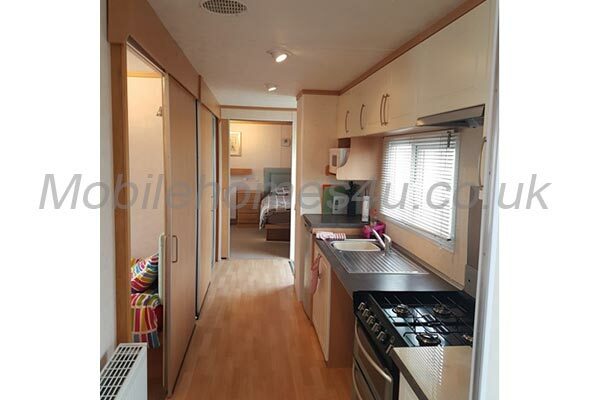 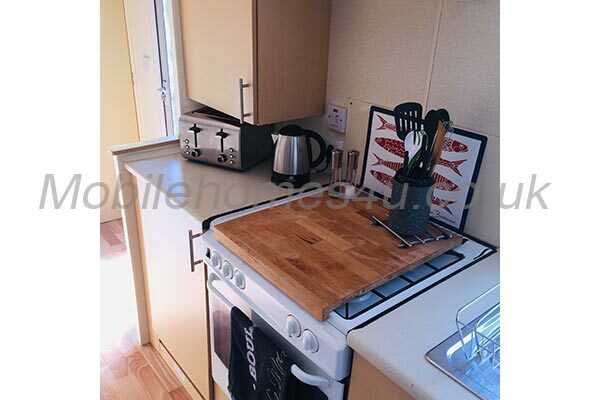 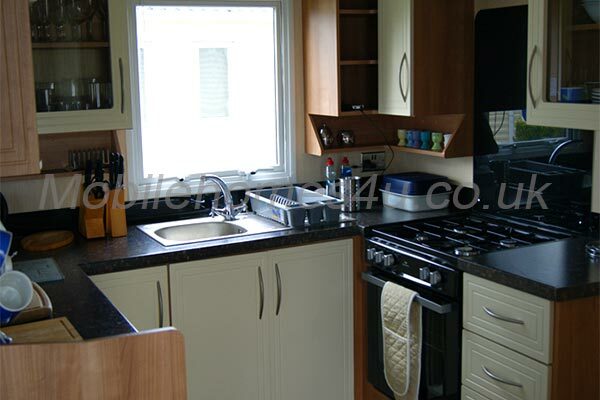 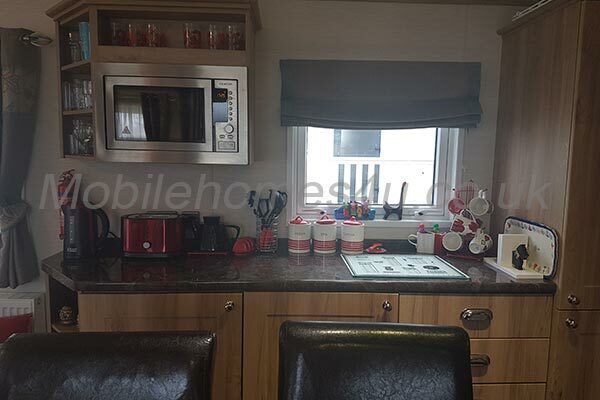 The galley style kitchen is bright and airy and comes complete with all your essentials including oven, hob kettle and toaster microwave and fridge freezer. 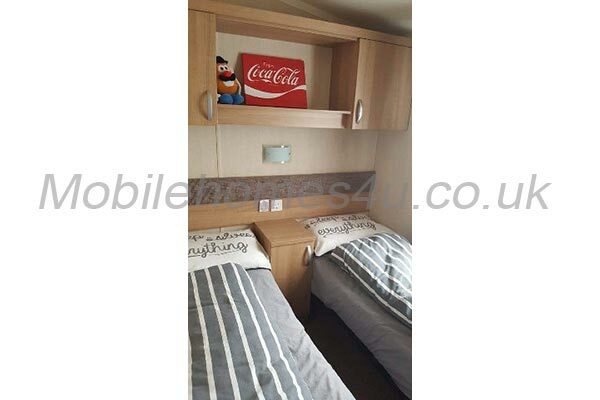 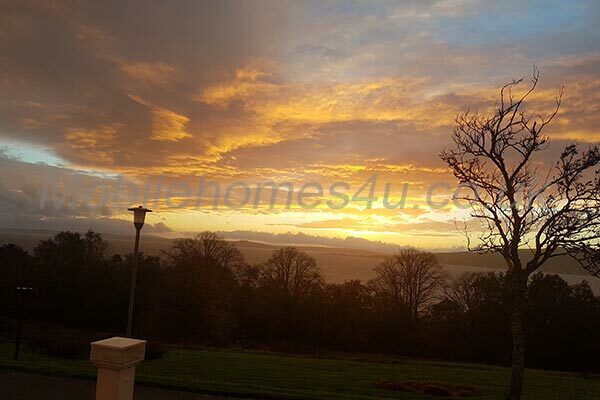 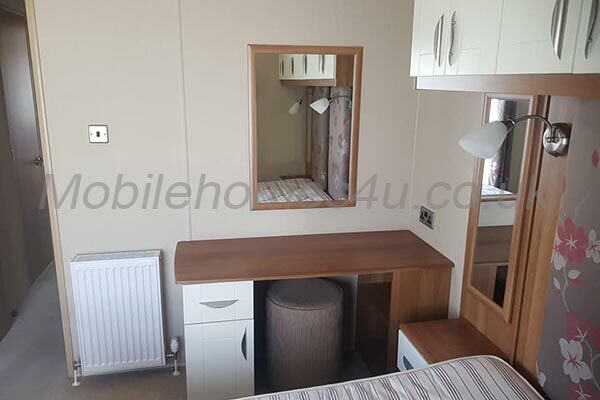 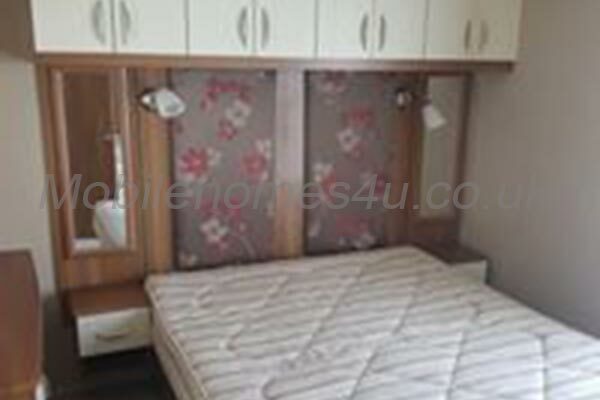 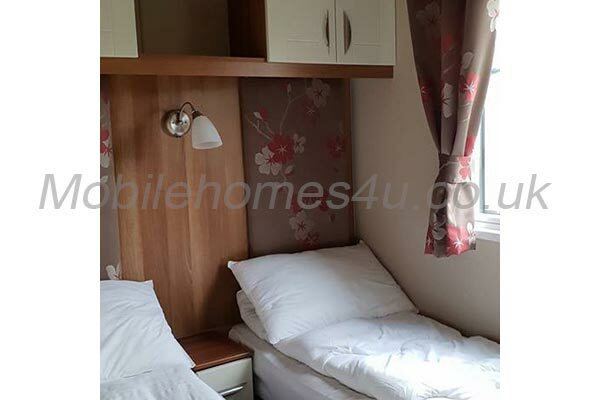 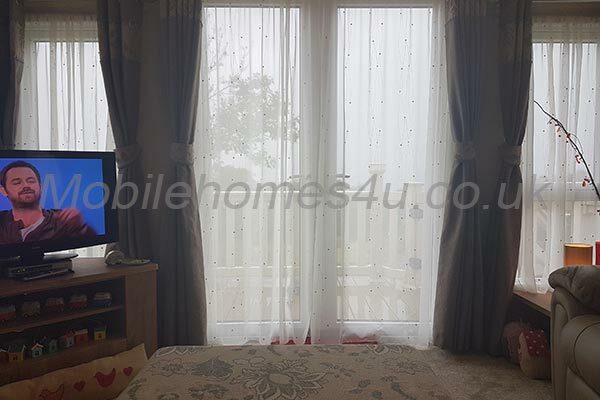 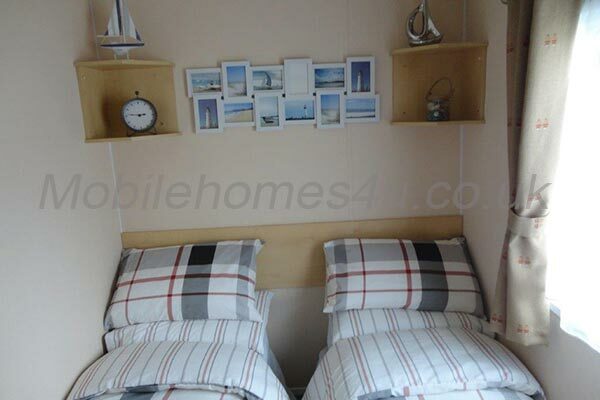 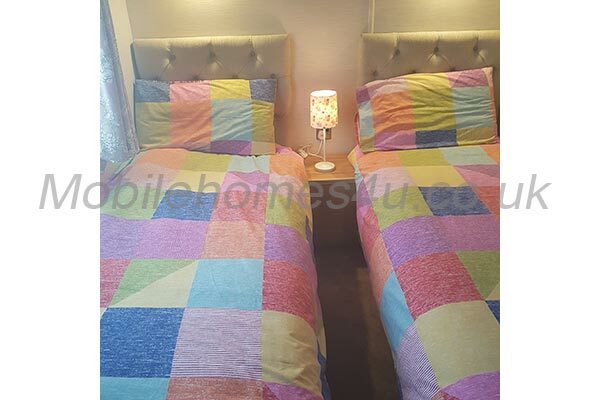 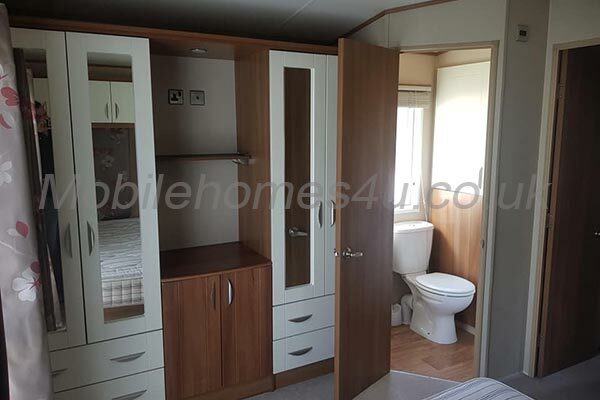 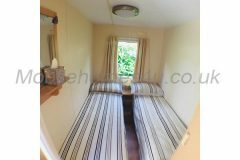 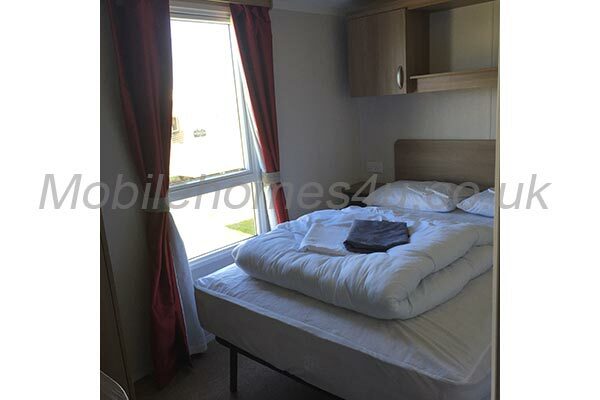 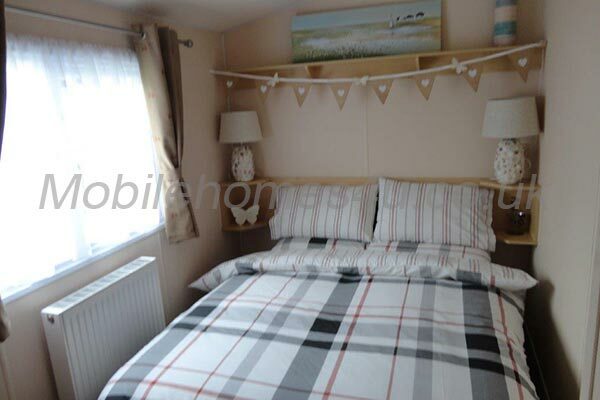 The home has 2 bedrooms, a spacious double room with 2 bedside touch lamps, a double wardrobe and dressing table area, along with a smaller twin bedroom has a single wardrobe. 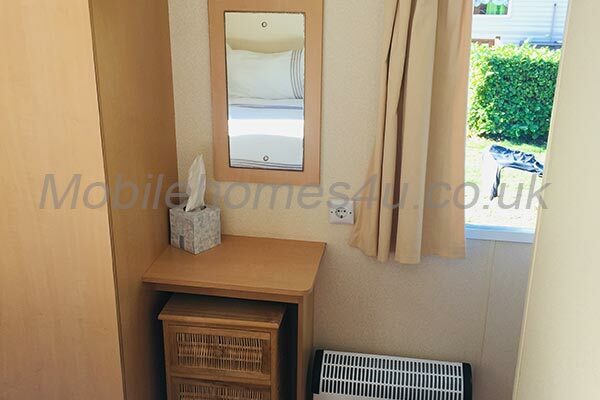 Both rooms have an electric heater and an electric fan. 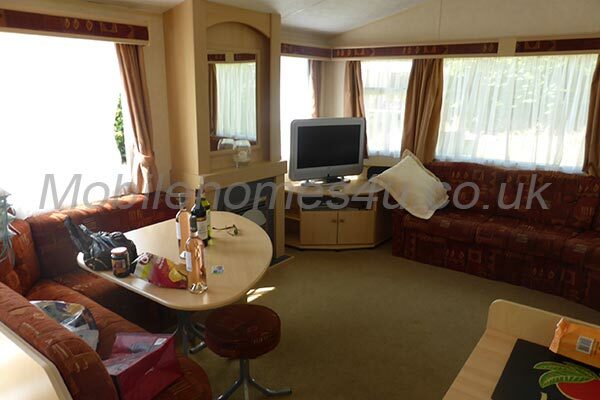 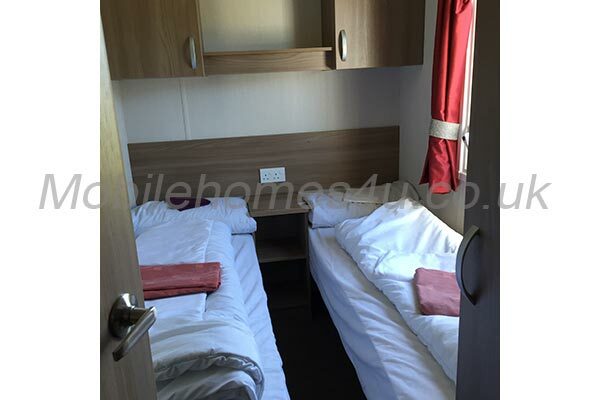 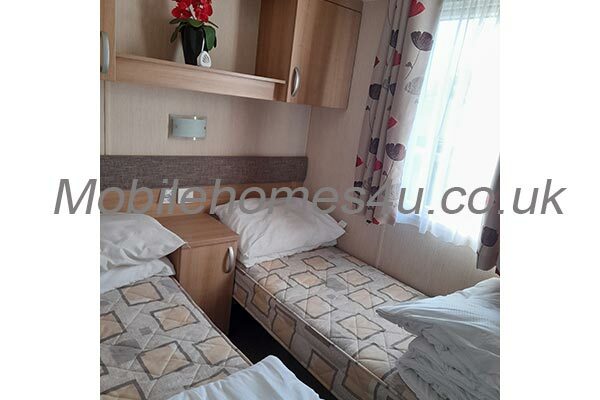 The seating area in the lounge can also convert into a double bed, making the home able to sleep 6 people. 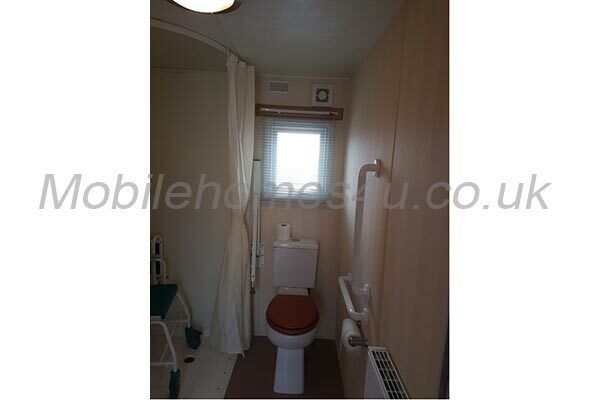 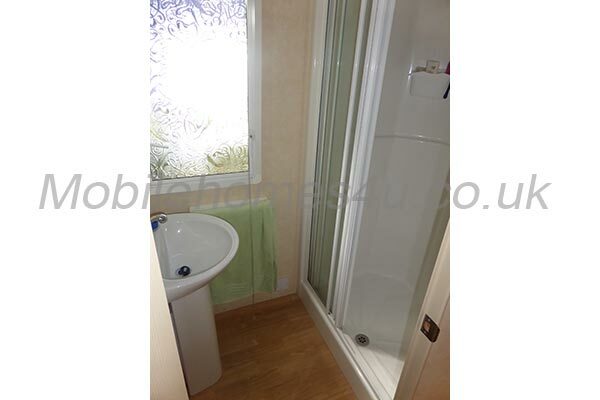 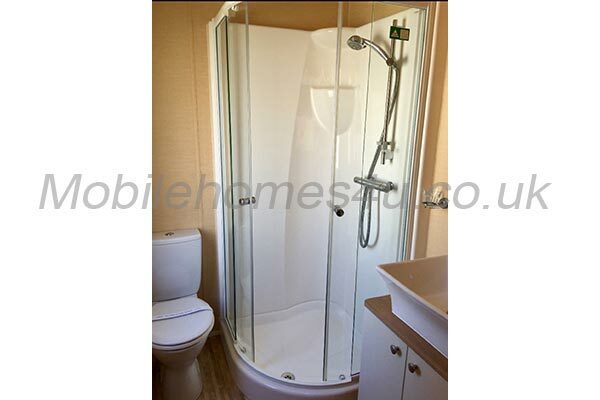 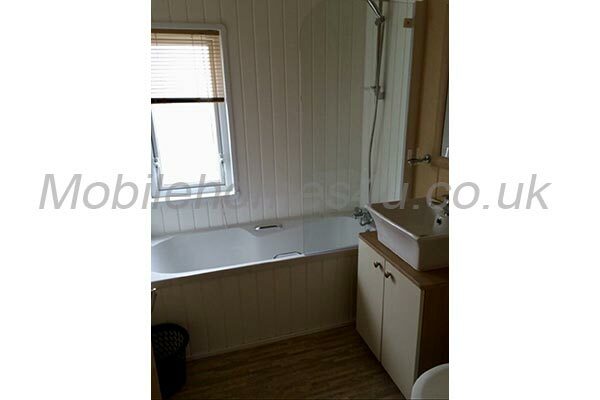 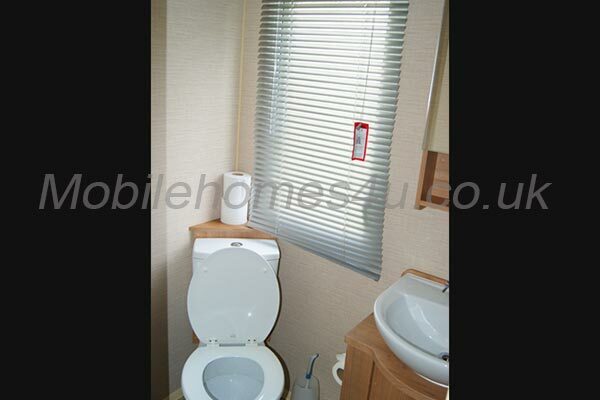 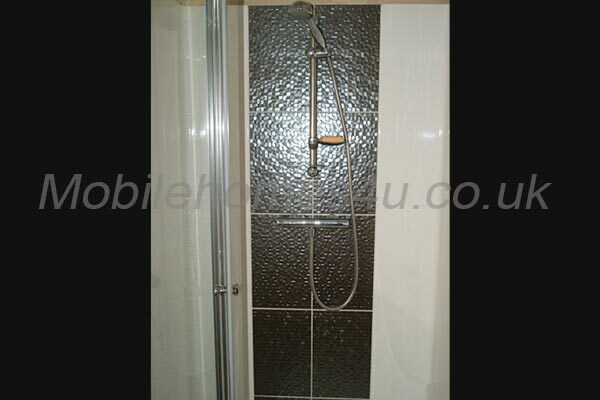 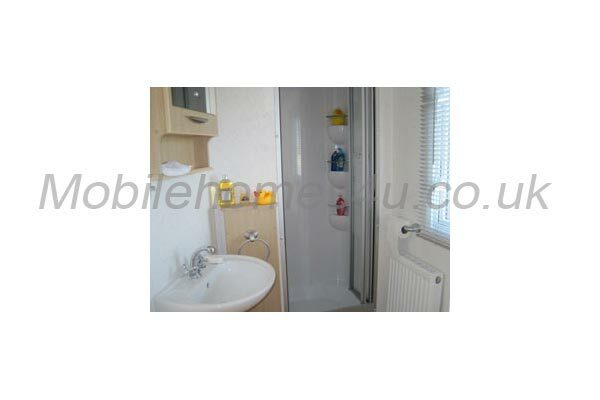 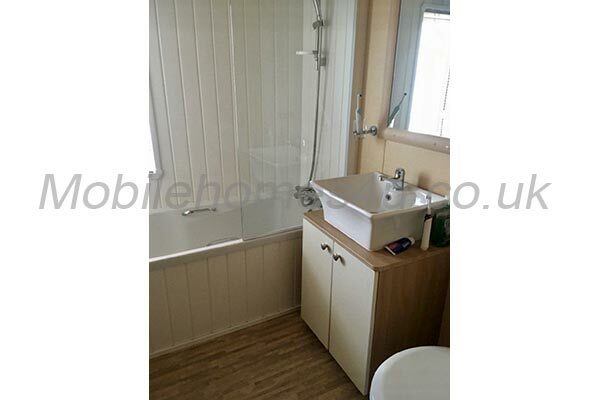 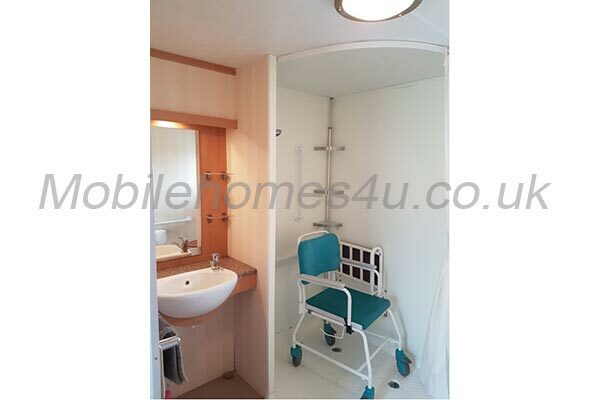 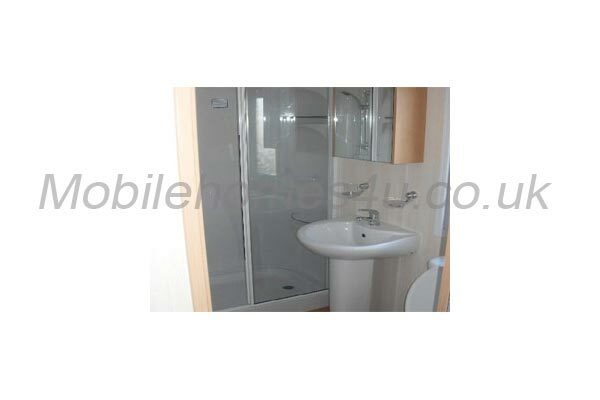 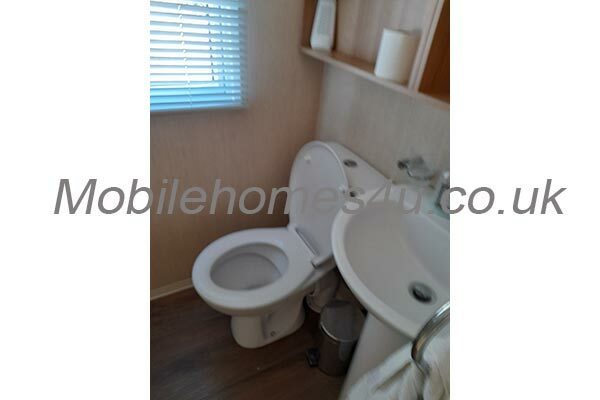 The bathroom consists of a walk-in shower, hand basin and toilet. 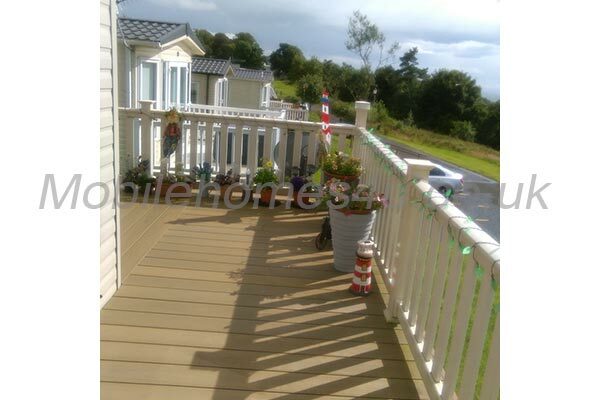 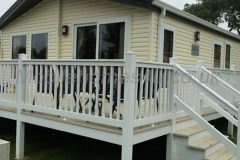 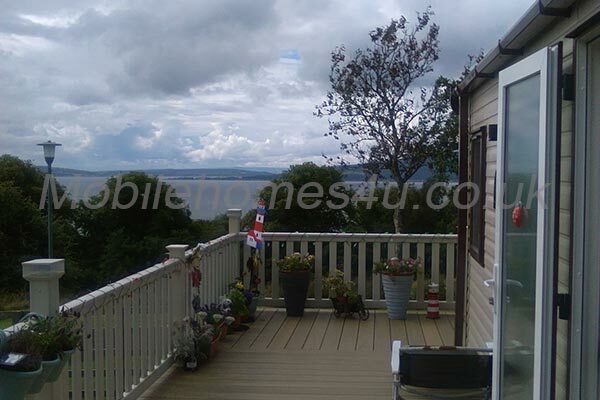 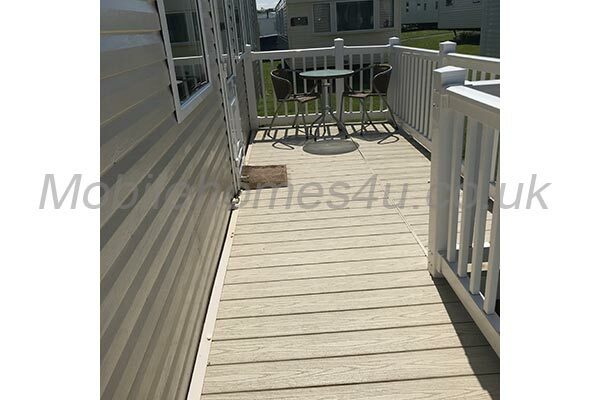 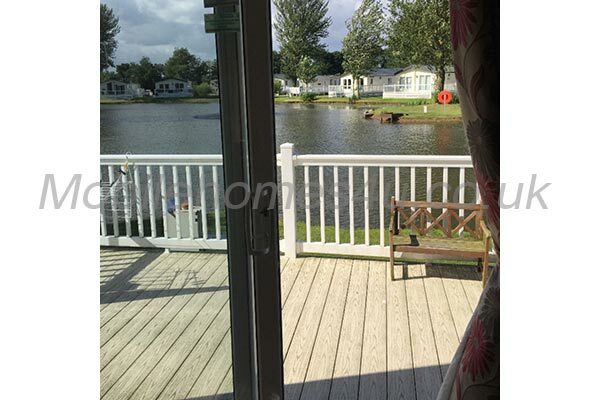 There are 2 entrances to the home and onto the decking which has a table and seating for 6 people. 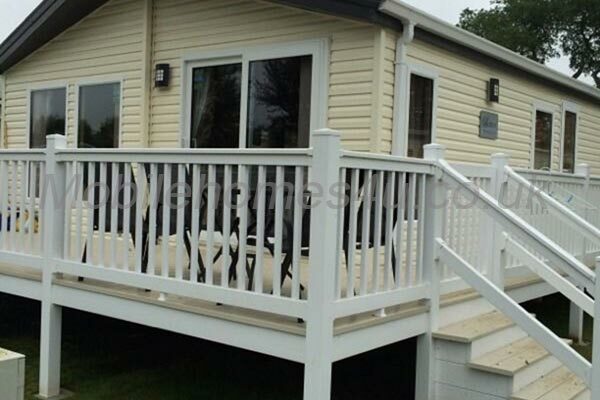 There is also a gazebo fitted (to remain fitted in place), which has 2 side panels; ideal for shade and privacy. A BBQ is available for your use as are sun loungers. 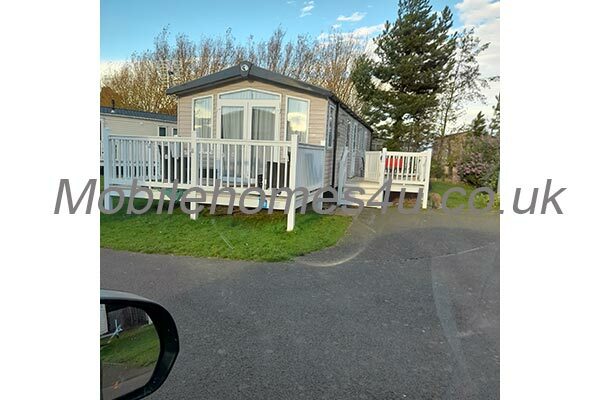 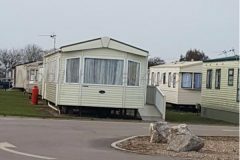 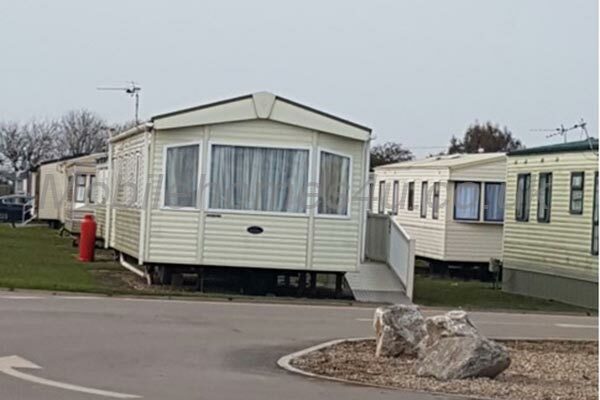 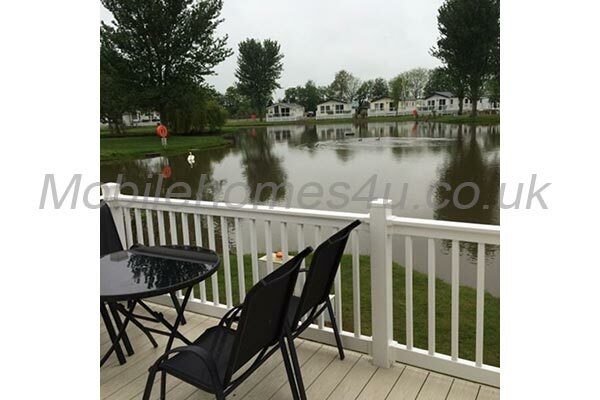 Adjacent to the caravan there is a parking space. 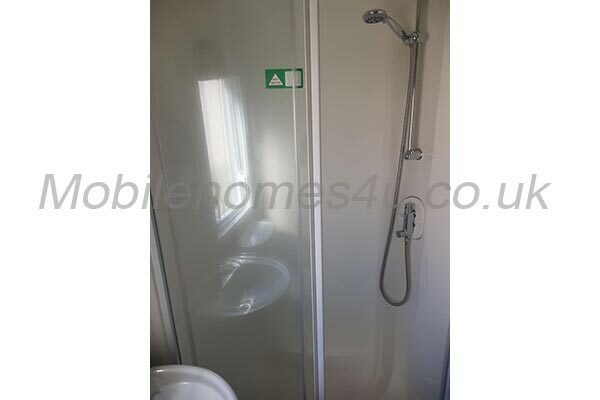 We've also provided a good stock of cleaning products for you, including things like, washing up liquid, sponges, tea towels, bin bags, disinfectant spray, air freshner, toilet rolls, cling film and foil. 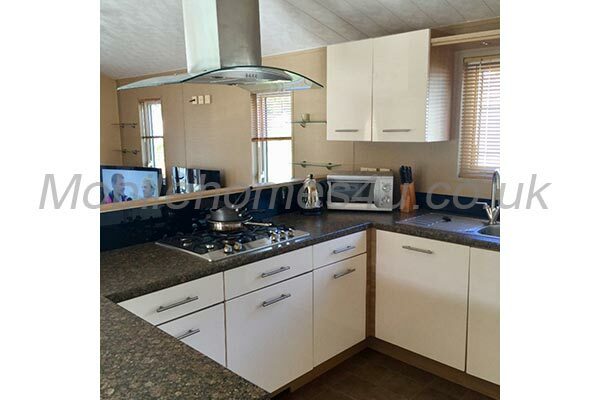 Again we just ask if you use anything that is running low or the last item that you replace for the next guests. 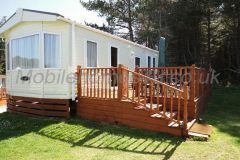 Also provided for your use and convenience is a hairdryer, iron and small fold out ironing board, a hoover, large clothes airer and pegs, washing basket, ample clothes hangers, footballs, fishing nets, buckets and spades, games and a box of items such as spare batteries, phone chargers etc. 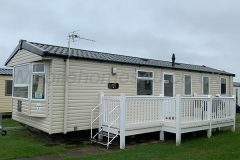 All we ask that anything that is used is returned for the next occupants. 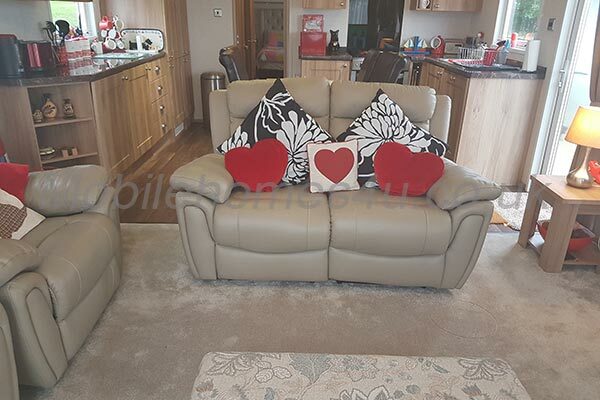 Both the gas fire and boiler system have annual gas safety inspections and the home is equipped with a fire extinguisher, fire blanket, carbon monoxide and smoke detectors and we have a couple of first aid kits too. 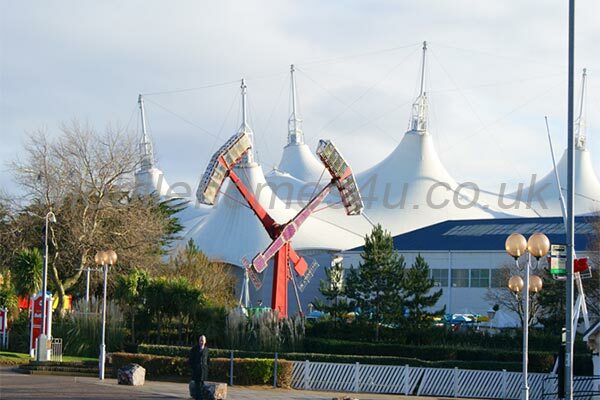 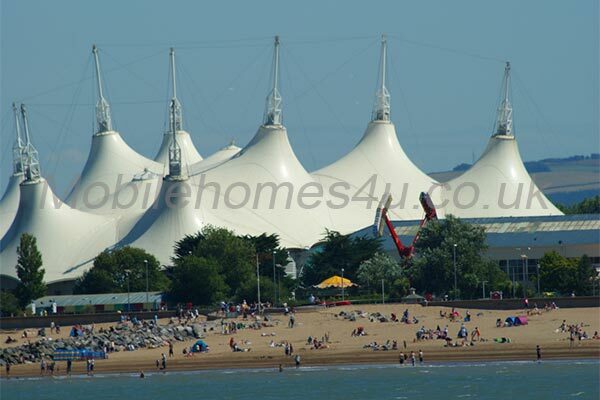 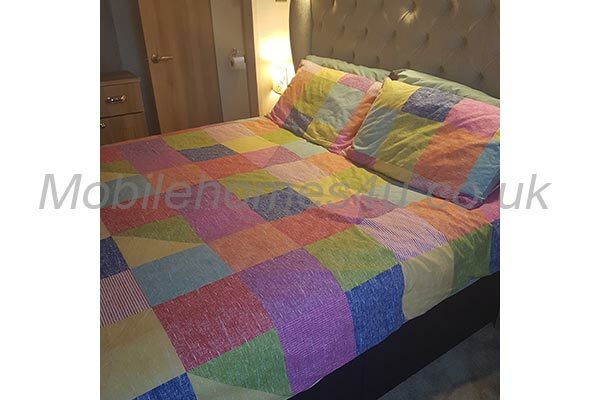 Bedding is provided for you to use, all you need to bring with you is your own bed linen and towels, but if you would rather hire linen this can be provided through the site - just advise at time of booking and this can be added to the cost of your booking and the linen will be ready for your arrival. 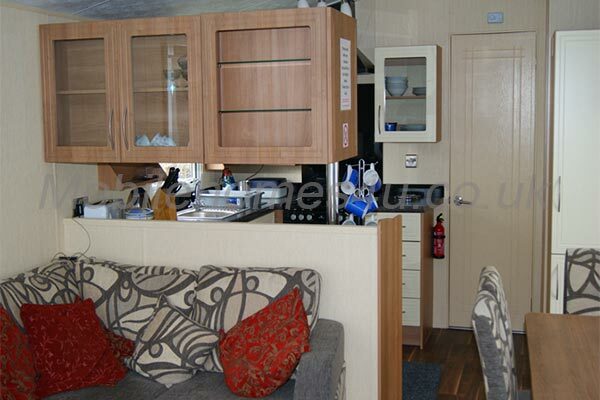 We also operate a strict no smoking and no pets policy. 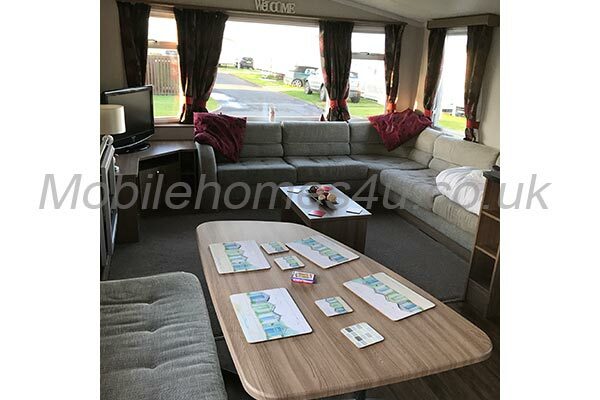 As part of your booking a meet and greet key service is provided, full details will be given to you on booking, and within the price all gas, electric, water and the tourist taxes for each person are included.